A team from Ruby Bridges and I had the privilege of presenting to the Alameda Elks lodge to say thank you to their wonderful organization this past Monday. They gave dictionaries to ALL 3rd and 4th graders at our school two weeks ago. They do this as a part of the national dictionaryproject.org movement, which has put almost 30 million dictionaries into the hands of 3rd graders across the country since they started in 1992. The Elks lodge also generously donated $2,500 to our Science Camp project! Wow! 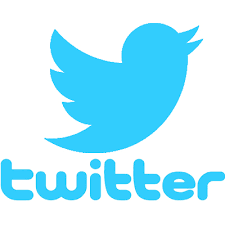 Please know that we appreciate all the support we can get! Thanks to Dawna Watty, Ben Lundholm and Jojo Lee for coming along and saying thanks with me! In other news, kudos to the amazing educators who held down the fort over here during this week of indoor recess. Hopefully we are done with the smokey weather. Our teachers were so positive about the whole process, the kids really had very little disruption to their days. We are all grateful to be playing outside again, for sure. 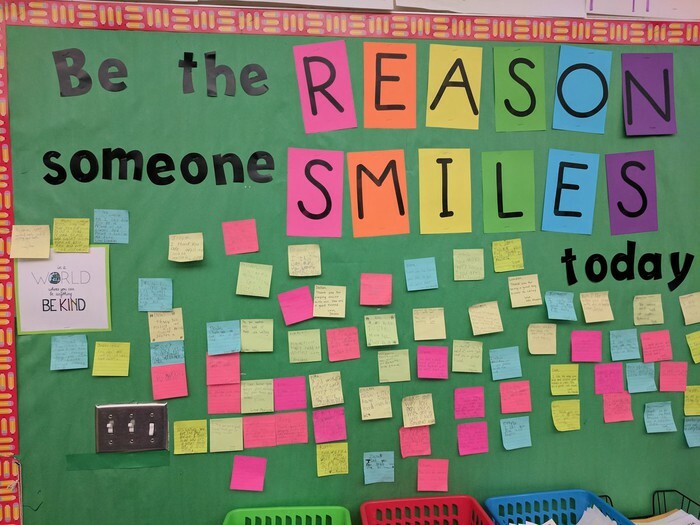 Wanted to also include a note about the trait of the month of October that we are working on across our school - Compassion, which means to have great sympathy for another who has been struck by misfortune. Think of our friends up in Sonoma and Napa county and be reminded how lucky and fortunate we all are. Who knows, someday it may be their turn to support us. Speaking of potential misfortune... we have our Great California Shakeout Earthquake Drill tomorrow! We are participating in the earthquake drill on 10/19 at 10:19. Read more about the event here. This is REALLY important stuff for us here on Alameda island. We are going to do a pretty simple drill here tomorrow. We are going to get the kids out of their classes after they practice Drop, Cover and Hold on! Our Search and Rescue, First Aid, Student Checkout, Student Assembly, and Operations teams will all gather and simulate the opening steps we would take if/when the big one hits us. Know that we have water, food and a plan to keep everyone safe until you can get here. More to come on this, for sure. See below for a video about the event. Lastly, we are buying 30 copies of the book, Wonder. This amazing book will be read in a community wide book club. The copies we bought are for our 5th graders to read. We hope you will participate too! Unfortunately, you will need to buy your own copies :). We will then all go to the movies and see the movie when it comes out in January. Watch the trailer below. What an exciting week it has been! Classes have begun to rotate through the STEAM Studio and it has been a blast. Students have come in for a tour, learned about the Dojo class point system, and our new flexible seating. It’s been a riot letting students try out all of the seating options! Also, Ms Phan’s TK class got to draw on the chalk boards, while Ms. Weber’s class added pieces to the LEGO Wall. Other classes have been quite curious about the iPads, spheros, and Plasma Ball! More classes will filter through the Studio the rest of this week. Then we will be more than ready for our 1st official class projects on Monday! 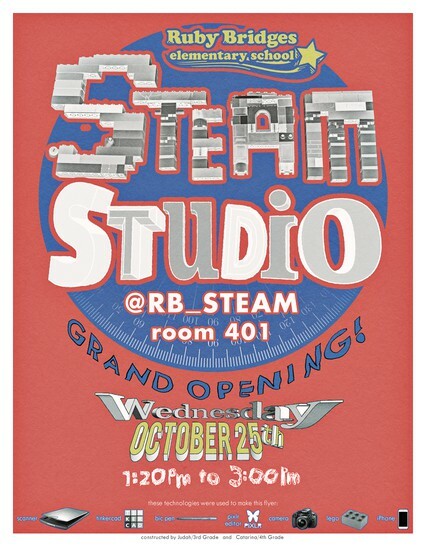 Finally, please come out Wednesday 10/25 for our Grand Opening, 1:20-3pm, and let your student give you a tour of the space! See you there! 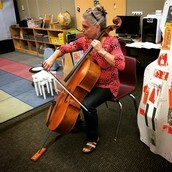 We had a professional cellist visit our Maker Studio to do a lesson on vibration and music last week. Not all classes got to go, but those that did LOVED IT! 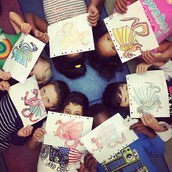 Also from our STEAM Studio, kids drew dragons. Cute. Again don't need to say much more... just in time for Compassion month! Girls' Inc FREE PROGRAMS at Ruby! 1st/2nd grade girls - increase literacy through Read-Alouds, literacy games and other enrichment activities. 4th/5th grade girls - program to inspire and encourage a love of science and math. 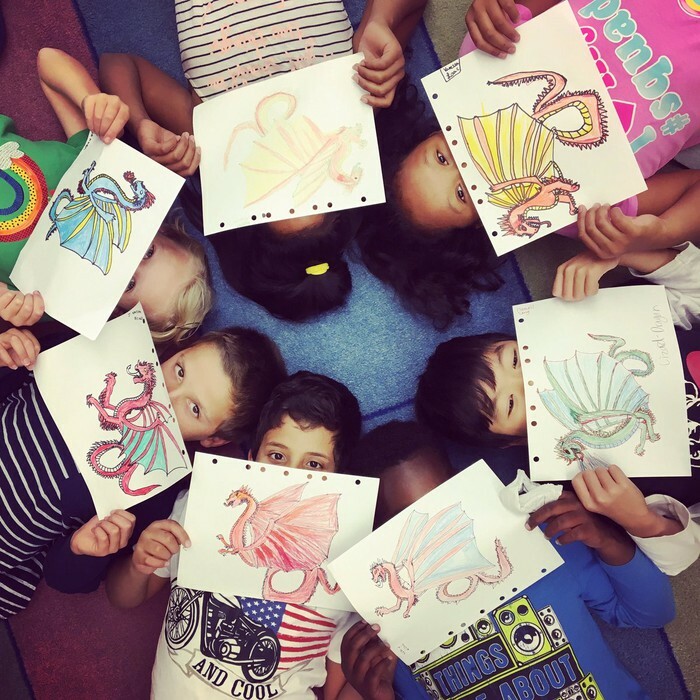 Both programs are offered after school here at Ruby Bridges from 2:50 - 5:30pm on Thursdays and are TOTALLY FREE!!! Families should have received a flyer in backpacks last week. If you are still interested, come check in at the office. Check out my interview of Sephania, an awesome 4th grader. And another podcast with Helena Ortiz, our LEAPS program coordinator and Ruby Bridges Student Support Provider! The Fun-A-Thon is coming on December 2nd. 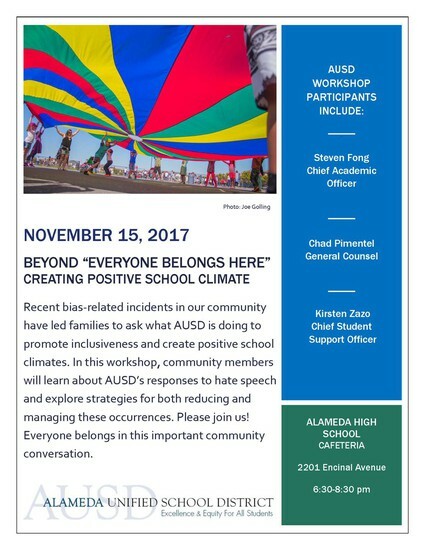 This event was postponed due to poor air quality resulting from the devastating fires. Please continue to help students complete the packets sent home for this event. The 2 classes that raise the most money this year will get a pizza and movie party, provided by the PTA!!! Kids will have a chance to win prizes including Amazon Kindles, scooters, and Target gift cards. Admission is free for Ruby Bridges students and $10 for non-Ruby Bridges students. Come out and have some fun with us! Come get to know Principal Woodward! Enjoy coffee and snacks while you get to know the Ruby Bridges family, including Principal Woodward and Vice Principal Lundholm. This is an opportunity to get to know what great things are coming this year for the students and our community. Thank you Pre-k-1st for a great event. Do you want one or more free kid's tickets to the 11/4 Cal game vs. Oregon State? Get your kid(s) on the Cal campus, show them the beautiful scenery and football stadium. I have a few tickets left - who wants them? You will have to buy an adult ticket, at a reduced rate of $20. These tickets were given out to our awesome kids. Let's use them!!! Email Mr. Woodward, or just come by. Watch the video below about the Great CA Shakeout, with info on how to keep your family safe.